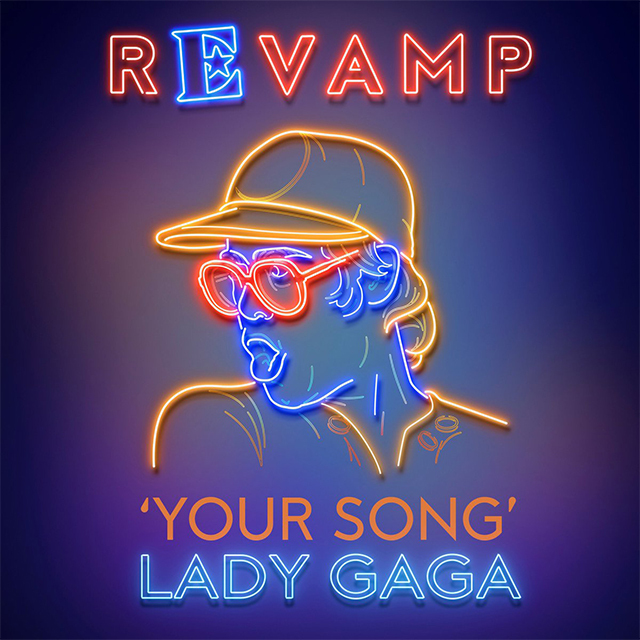 Elton John's 1970 classic "Your Song" for the new album Revamp, which features John and co-writer Bernie Taupin's most popular songs reimagined by musicians such as Mary J. Blige, Coldplay, Miley Cyrus, Demi Lovato, and Sam Smith. Gaga's rendition, which John himself called "incredible" is now available. Bringing together a carefully curated selection of the world’s biggest and best artists, Revamp sees Elton and co-writer Bernie Taupin’s best-loved songs reinterpreted by some of contemporary music’s most vital talents. The album spans a breathtaking array of styles, shining a light on Elton’s unparalleled influence across the popular music of all genres, ranging from hip-hop / soul, to rock and pop.